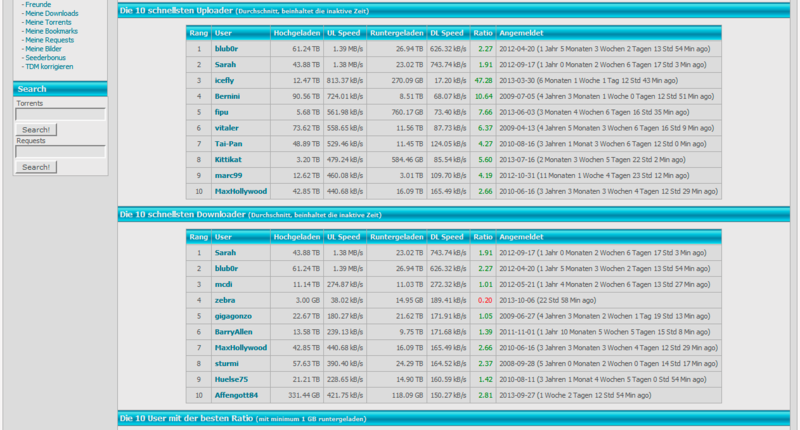 HDSource.pw / Hdsource / HDS – is the largest and most popular German private HD tracker. First of all, its due to the quantity and quality of torrents. There are about 20 000 HD hands, most of them are in 720p or 1080p formats, but you can also find some full bluerays. All movies surely have at least one German audio track. But often, except for the German, English is still present or subtitle. Besides films, the tracker contens a lot of serials, cartoons and video clips in HD quality. The section with documentaries deserves special praise – there are about 2000 exclusive documentaries in German. What is particularly pleasing, here are closely watching the quality, so you can be sure that your favorite film will be at the highest level. 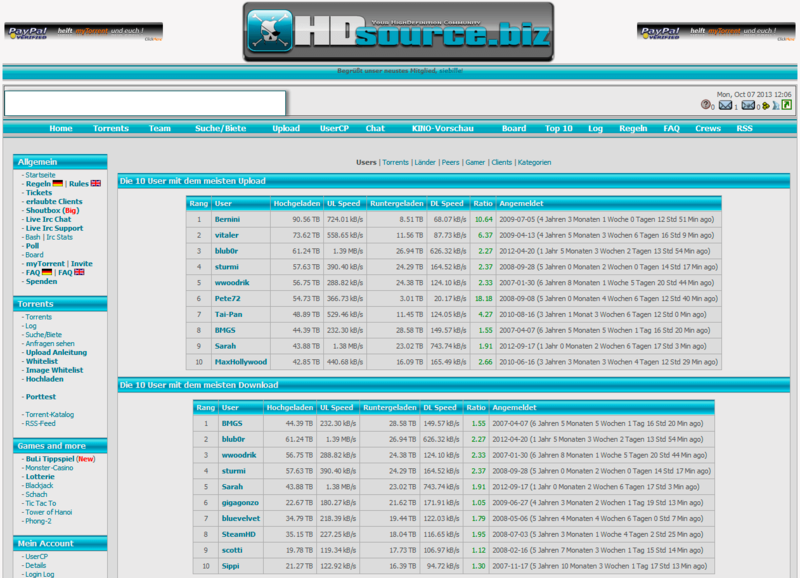 HDsource uploaders do their job very well, it’s a fact. You will not be confused with the rating on this German tracker – here is too many freeleech hands. Thanking to them, you can always have a rating above 1. Generally, if you need a good German HD tracker, HDsource is the best choice. It does not matter what purpose you need it for, but buying an invite to HDsource, you obviously will not be disappointed. Especially if you are German, it’s really worth to join it.